You can make this oil free recipe in the oven as well as the air fryer, but if possible, use the air fryer. I just bought one made by Farberware and it works so well, see my affiliate link below. I highly recommend it. 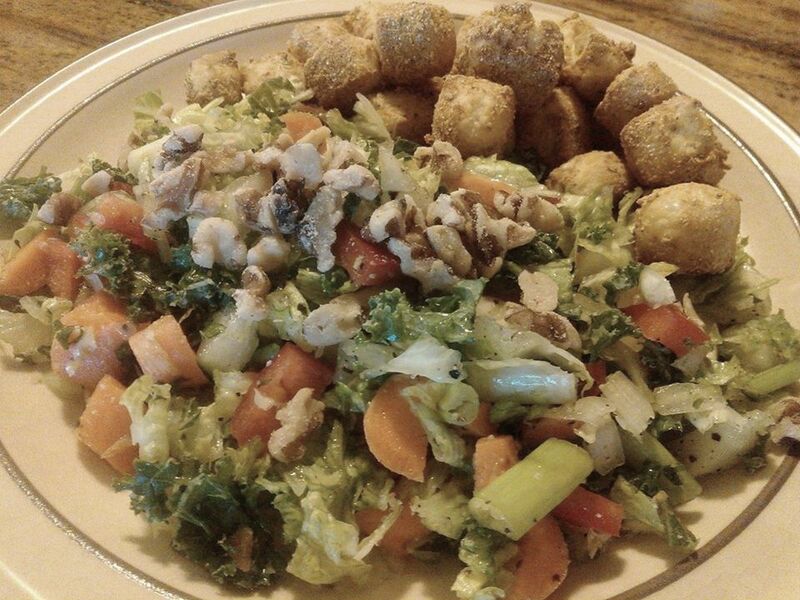 It really makes everything taste extra crunchy with no added oil. Preheat air fryer while prepping. In bowl, mix the corn meal, yeast and seasoning. 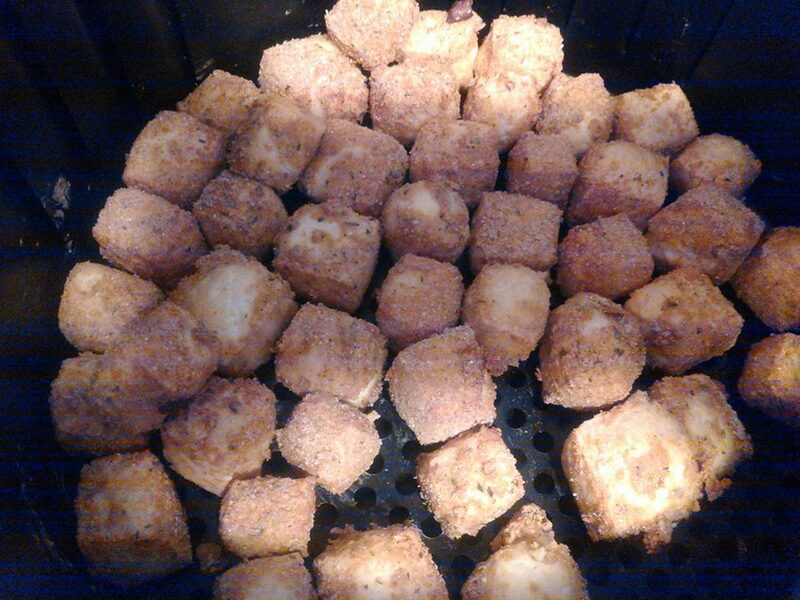 Then put cubes of tofu in and lightly stir until coated well. Toss gently into your air fryer basket, and set timer to 10 minutes at 400 degrees. After 10 min, shake or stir lightly, then turn back on for another 10 minutes, or until good and crunchy. I enjoyed these with a chopped salad with the ﻿321 Dressing﻿.